In association with Flipkart, Japanese brand JVC on Tuesday launched six new smart LED TVs in India starting at Rs 16,999. The product suite includes 4K “Ultra HD” intelligent smart TVs and “Full HD” smart LED TVs available in four screen sizes — 40-inch, 43-inch, 49-inch, and 55-inch. The TVs come equipped with features such as “Quantum Backlit Technology”, Miracast support, and more than 500 licensed applications and up to 1 million hours of content to view, JVC said. 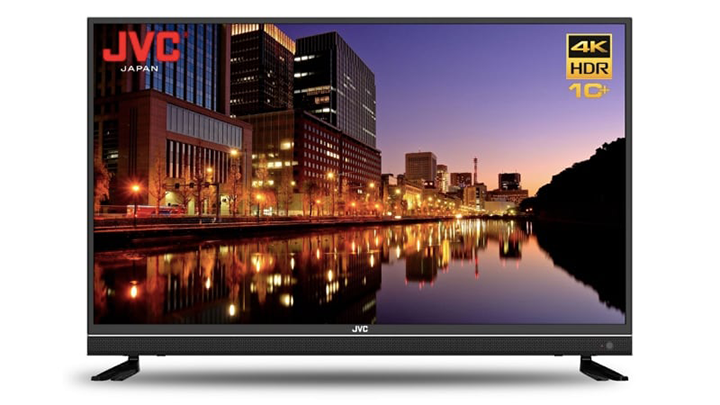 The JVC Smart LED TVs will be available on Flipkart from April 6. “The need and hunger for content in the smart TVs is increasing day by day and we assure our customers of providing the largest app base as well as inbuilt content in today’s times in these smart TVs,” Sharan Maini, Director – Business Development at JVC India, said in a statement. JVC entered India in partnership with Veira Group, an original equipment manufacturer (OEM) for consumer durables in India, in association with Flipkart. Viera Group said it currently has its manufacturing unit in Noida having a capacity of up to one million units per annum.